The former Husky and NBA star has a state contender on his hands with the addition of several big-name transfers. Every state championship starts with a road. Brandon Roy went to the map on his cellphone to find his. The father of three was finally nudged hard enough by friends and mentors to pursue coaching after stints volunteering for his alma mater, Garfield High, during its offseason. But if the three-time NBA All-Star was going to leave his cozy life as “House Dad” from his new home in Madison Park, the job had to be close. Michael Porter, Nathan Hale (6-9, sr.): Transfer from Missouri has committed to Lorenzo Romar and UW. Daejon Davis, Garfield (6-3, sr.): Athletic slasher also committed to Huskies for next season. Jaylen Nowell, Garfield (6-5, sr.): Future Husky can do it all, from battling under the rim to stepping outside the three-point arc. Corey Kispert, King’s (6-6, sr.): Fundamentally sound shooter headed to Gonzaga. Kevin Porter, Rainier Beach (6-5, jr.): Growing into one of the top wing players on the West Coast. Roberto Gittens, Foss (6-5, sr.): The Boise State commit averaged 21.9 points, 8.9 rebounds and 2.6 blocks as a junior. Darius Lubom, Kentwood (6-0, sr.): Co-MVP of the SPSL a year ago leads Conquerors into new NPSL this season. J’Raan Brooks, Garfield (6-9, jr.): Rebounds, can get inside for deep Bulldogs squad. Jontay Porter, Nathan Hale (6-9, jr.): Brother to Michael, also already committed to UW. Noah Williams, O’Dea (6-5, so. ): Opened eyes as a freshman in the Irish’s state semifinal run a year ago. Lexie Hull, Central Valley (6-1, jr.): Stanford commit is big in the backcourt at 6-1, consistent offensively. Laci Hull, Central Valley (6-1, jr.): Also a Stanford commit, has three-point threat to complement midrange ability. Taya Corosdale, Bothell (6-3, sr.): Good on both ends of the floor, will play at Oregon State next year. Jill Townsend, Okanogan (5-11, sr.): May be from small school, but plays big. Off to Gonzaga next season. Jaydn Bush, Bishop Blanchet (5-11, sr.): Smooth around the block and is a prolific rebounder..
Te’a Adams, Juanita (5-9, sr.): San Diego State commit pushes the ball, distributes with authority. Ja Quaya Miller, Kentridge (6-3, so. ): Nimble in the middle, patient on the block and solid in transition. Shalyse Smith, Bellarmine Prep (6-1, jr.): Versatile on the perimeter, a quick leaper on the glass, emerging offensively. Samantha Fatkin, Glacier Peak (5-10, sr.): Arizona signee creates in the midrange game; has three-point range. Juanita Agosto, Garfield (5-6, sr.): Floor leader handles and distributes, consistent mid-range game for Eastern Michigan commit. Roy wasn’t chasing after a replacement for basketball because chronic knee injuries decimated a lustrous career where he led the University of Washington to the NCAA Sweet 16 and was named the 2007 NBA Rookie of the Year. A couple of map searches to check drive-times is how Roy caused a seismic shift in local boys basketball. 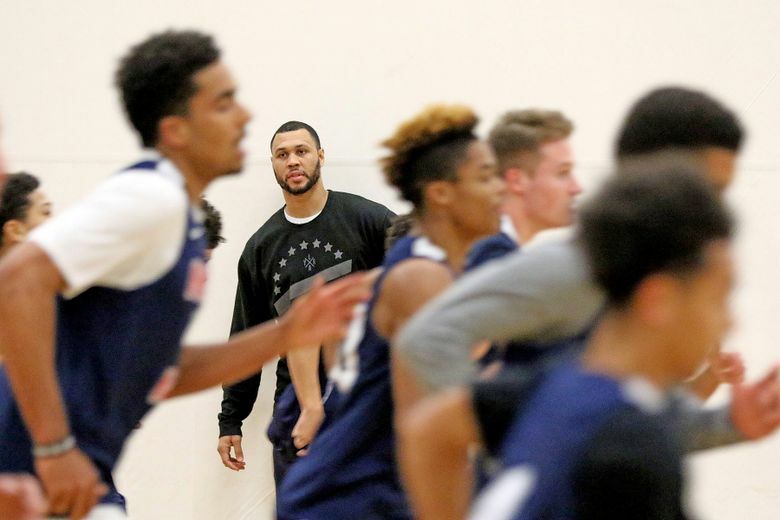 In June, he accepted the head-coaching position at Nathan Hale, a northeast Seattle school 20 minutes from Roy’s home, depending on the route. What followed has the forgotten program being ranked No. 22 in the nation by USA Today and expected to contend for the Class 3A state title. The roster of seven transfers — including five-star recruit Michael Porter Jr. — begins its 2016-17 season Monday as part of Mercer Island’s jamboree. Truthfully, Roy wanted to be an assistant coach for Jamaal Williams, a former UW teammate. But when Williams accepted a position at Thomas Jefferson High in Auburn in April? Roy had to be fingerprinted and pass a background check before being hired. The district sets coaches stipends, so Raiders athletic director Darby Haskins couldn’t lure him with any more than the $6,000 pay all head coaches are given. 1. More Metro dominance? Half of the Class 3A boys field (4 of 8) at state a year ago came out of the Metro League, including finalists Rainier Beach and O’Dea. Garfield and Cleveland also got to Tacoma. This season, that number could go even higher with the emergence of Nathan Hale and its transfers, the Porter brothers. 2. How will the new state format work out? The WIAA decided in September to change the state tournament format to 12 teams and use RPI to decide how the teams are seeded into it. 3. Will King’s run continue? The Knights are set up to extend their streak of state Class 1A championship game appearances to five years behind senior star Corey Kispert. Rick Skeen’s teams finished second two straight years before winning titles the last two. 4. Who will challenge Federal Way? The Eagles are the two-time defending Class 4A state champions but graduated some top talent. 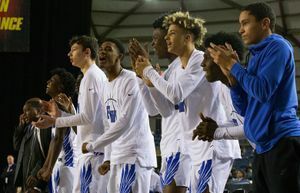 Federal Way also returns a core that played significant minutes, including 6-8 sophomore Jaden McDaniels and 6-3 senior Marcus Stephens. 5. Who will be the best team in the Greater Spokane League? 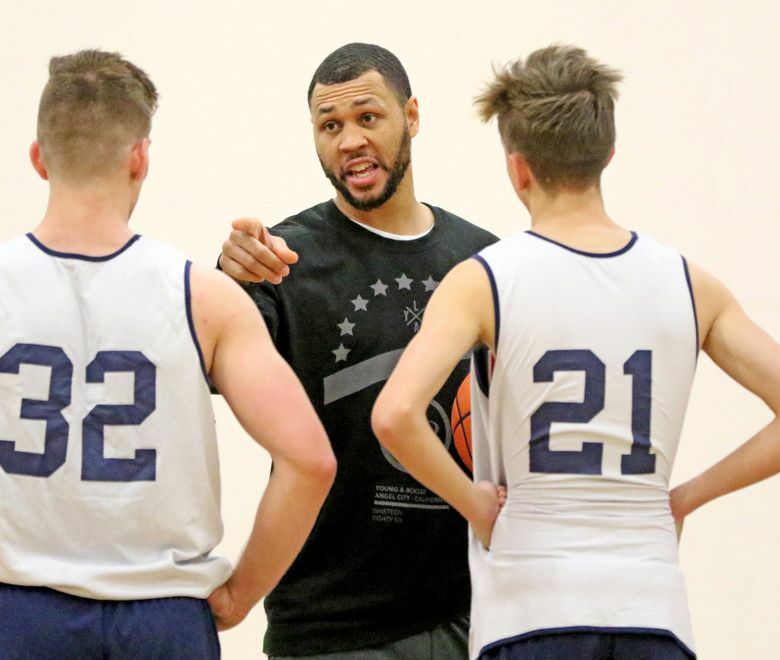 Gonzaga Prep finished third in the state in Class 4A, but battled all season long in league play with a building Lewis and Clark and Class 3A power Shadle Park. Those three look to be the power in the league again in 2016-17. 1. Will the Central Valley girls lose a game? The Bears rolled through an unbeaten year and won the Class 4A state title last March riding the exploits of sophomore sisters Lexie and Lacy Hull. The Hulls are a year older, and Central Valley is poised for a repeat run. 2. Is Juanita tops in KingCo 3A? The Rebels have the pair of Division I signees in Shalexxus Aaron and Te’a Adams, and should be great in the transition game. 3. Lincoln or Wilson, who’s best in PCL? The Abes won the Narrows League a year ago with a 14-0 record, and just three seniors on the squad. Meanwhile, the Rams (whose only losses were to Lincoln) bring back a strong nucleus. Will one of them win the reformed Pierce County League? 4. What will happen in the new NPSL? With virtually every Class 4A team from Kent to Auburn to Federal Way coming together in one huge North Puget Sound League, which programs will emerge will be worth watching. 5. Who really is No. 1 in Class 3A? 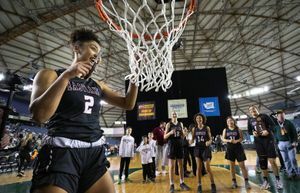 With the likes of Anna Wilson, Shelby Cansler and company graduated from Bellevue, and Lynnwood reloading, the Class 3A ranks could truly be up for grabs. Arlington has the experience. Still, the pieces snapped together easier than laminate flooring to build a championship contender at the school. Former Nathan Hale coach William Johnson retired in May. The Porter brothers Michael Jr. and Jontay, 6-foot-9 posts, committed to UW, and Corban, a 6-3 freshman guard, knew in May they’d relocate from Missouri. Roy was announced as Nathan Hale’s coach in June. By August, four more top basketball prospects transferred to the school in sophomore P.J. Fuller (Garfield), senior Tre’Var Holland (Edmonds-Woodway), senior Keegan Crosby (Bishop Blanchet) and freshman MarJon Beauchamp (Yakima). Roy personally knows Fuller, who he has been a father figure to since he was a third-grader. 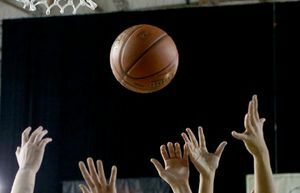 The first-time coach held open gyms just to learn the names of the other players. The hard part was cutting 60 eager players to a 14-member varsity roster. Roy said he went through a crash course last summer from notables in the basketball community to learn about coaching but didn’t factor in being responsible for grade checks, parent meetings, ordering uniforms and scheduling transportation to games. That includes the all-expenses paid invitation to play in the Hoophall Classic in Massachusetts in January. ESPNU will televise Nathan Hale’s game against No. 2 Oak Hill (Va.). The network is also airing the matchup at Garfield on Jan. 27. None of the Metro League coaches raised an eyebrow at Nathan Hale’s rapid formation. Seattle was a hotbed for hoops long before the Porters and Roy. Doug Christie, Jason Terry and Nate Robinson are a fraction of the NBA stars the league produced. At the state tournament last year, Rainier Beach, O’Dea and Garfield finished 1-2-3 last season with Cleveland placing sixth. The league has won 14 of the Class 3A state championships since 2000. Nathan Hale beat Ballard for its lone league win last year, finishing at 3-18. Roy is its fifth coach in the past five years, the last winning season being 2012. Haskins was a student in 1994 when Jevon Green last led the Raiders to state, placing sixth. Tickets to games sold out by lunchtime. Roy has his own journey as a reminder. When he played for Garfield from 1998-2002, the Bulldogs were favored annually as a then-Class 4A team in the KingCo League. He never won a state title. “I tell them the hype isn’t going to get it done for you, it’s going to be in the work,” Roy said. The concern about Nathan Hale should be the lies its players tell — about their bowling game. Saturday was the second outing to bond before starting the season. The knowns for the Raiders are their strong three-point shooting, quickness and size. The rest of the road map to state, Roy said, he’ll have to figure out on the way.